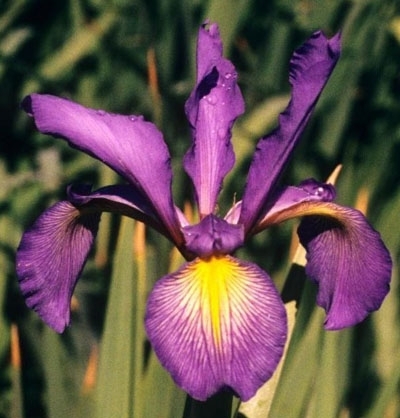 Rodeo Blue-C. Jenkins-94-Spuria Iris-38-45 Inches Tall-Early bloom season-Standards sky blue. falls bright blue with yellow signals radiating out over white rays on upper 1/2 of petals. Rampant grower.